According the U.S. Census Bureau, 56.7 million Americans (18.7 percent of the population) identify as having some type of disability, making individuals with disabilities the largest minority group in the United States. However, until recent decades, little attention has been paid to the ways in which negative attitudes, cultural practices, and social systems have impacted their lives. 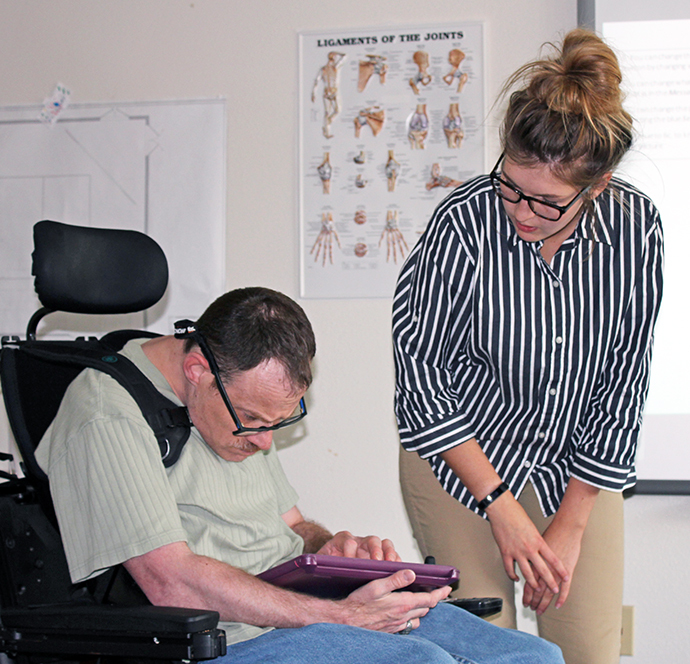 Disability Studies has an ethical commitment to place the interests and voices of people with disabilities at the center of our curricula and training activities. Disability studies is a diverse interdisciplinary field that investigates broad questions about the nature, meanings, and consequences of disability from interrelated social, historical, cultural, and political perspectives. The undergraduate Minor in Disability Studies examines disability issues from multiple lenses, balancing theoretical exploration with practical application, and providing students with a broad understanding of disability history, cultural representation, policy concerns, and current debates. Ultimately, students in the minor will work closely with people with disabilities, and gain the skills and perspectives to participate in unique disability research and advocacy. The overarching goals of disability studies are to investigate social justice issues related to disability, to understand disability experience as a fundamental and rich component of human diversity, and to promote the full social integration of people with disabilities. Who should earn a Disability Studies minor? Students across the university could benefit from completing the Minor in Disability Studies. The overarching goal of the minor is to examine disability as an essential element of human diversity, and to provide theoretical and practical knowledge to promote the full social inclusion of people with disabilities in local, national and global communities. As demonstrated by the following list, students in diverse and seemingly unrelated academic fields might enhance their majors with the Disability Studies Minor. An engineering student interested in designing mobility, prosthetic, or assistive technology devices.